As the Reedsy marketplace keeps growing and welcoming exceptional designers and editors, we wanted to interview one of our early “stars”, as her story is one that many East Coast editors can refer to. After five years honing her editorial skills at Simon & Schuster and contributing to multiple New York Times bestsellers, Kiele Raymond eventually left traditional publishing to focus on what really matters: great content. As an editorial consultant on the beautiful New Hampshire seacoast, she helps authors fine tune their voice with detailed and constructive criticism, and especially loves working on suspense, historical and contemporary fiction, and memoir with an ethnographic twist. We’ll discuss editing careers, what “developmental editing” actually means, as well as give advice to starting authors or your editors out there. Hi Kiele, good to have you here. 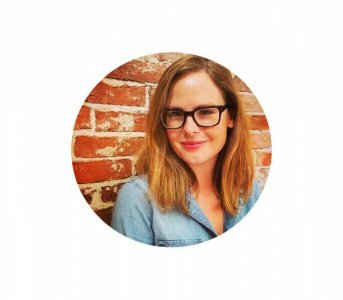 I really like your story because I think it’s one that many of our editors on Reedsy can relate to: you previously worked in-house for Simon and Schuster and are now freelance and focusing on developmental editing (or editorial assessments). Did you find that this is what you were most skilled at during your time at S&S? I’ll always be grateful that my publishing career started at S&S because they’ve built such a strong and collaborative community of editors. From the very beginning, I was able to study the craft under the very best in the business. It’s true that the editorial department shoulders a lot of responsibility in traditional publishing. 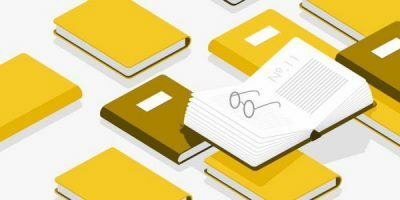 On top of acquiring impactful content and making sure each final manuscript is the best version of itself, they’re constantly advocating for their list when it comes to marketing, publicity, cover design, back cover copy, and sales placement. In fact, most actual editorial work (reading, content and line edits) happens at night or over the weekend. It’s a 24/7 kind of job – some of my very best friends are still hustling down there in NYC and I could not admire them more. But yes, I think most book editors enter the fray because they are first and foremost passionate about developing great writing. It was certainly always my primary goal to cultivate a keen editorial eye and help authors maximize their potential. Luckily, in my new role as editorial consultant, that’s exactly where my focus lies. Do you think that developmental editing or content editing has surged in prominence since self-publishing has become more popular? Yes – I do think that self-published authors are more and more cognizant of the innumerable benefits of involving a professional. It’s also helpful that it’s getting so much easier to find us. Just a few years ago, first-time authors were hard pressed to find someone who had been in the trenches of traditional publishing. Now there are multiple avenues. I’ve seen several authors in your testimonials mention that your work was almost “intuitive”. How big is the role of intuition in an editorial consultant’s job, in your opinion? And how could starting editors develop their content editing skills? Well, I do think that a huge part of editing is the ability to listen very carefully to the author’s voice. At the end of the day, it’s their story. If something’s not working, I don’t immediately go for the cut. I figure out what they’re trying to say in that moment and work with them to make sure it has the effect they intended. It’s a little like acting – you need to inhabit the character but also bring your own experience to the table. This is especially important to me when I’m working on memoirs. Advice for future editors? Read voraciously. You can’t become fluent in storytelling if you’re not constantly studying a wide range of material. Like many of my colleagues, I majored in English Literature. It was a great introduction to the literary canon, but by the time I graduated I was woefully behind in all things contemporary. I spent many sleepless nights catching up. Like any industry, if you want to do well in the marketplace you have to know what you’re up against. Are there any differences in working with an independent/hybrid author? 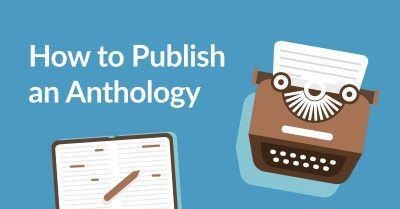 Does the absence of a traditional publishing structure change the way you communicate with the author? When it comes to developmental editing, my job remains largely the same. I do everything I can to make the book better. Some manuscripts do need more grunt work than others, but I’ve found that it varies just as much outside of traditional publishing as it does inside. I’ve also been lucky to consistently work with authors that are extremely open to constructive criticism. It’s always gratifying – and often surprising – to see how they incorporate my notes into the next draft. Do you still have contact with agents since you left Simon & Schuster? What do you think the role of agents can be for indie authors? Yes – I also still have very close friends on the agenting side. There’s always a strong bond formed between junior agents and editors as they climb the ladder together. I do know a few agents who make it their business to seek new talent in the self-publishing community. For instance, Sempre is a book I edited at Gallery that was originally an indie bestseller before an agent snapped it up and brought it to us. I think some indie authors still harbor ambitions to see their book sold nationally in print. 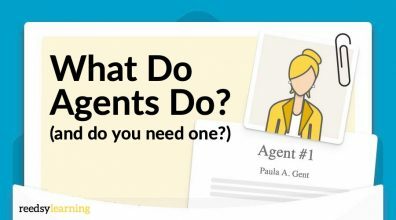 Agents can help them make that happen. Are there any books in your portfolio that you especially enjoyed working on? An impossible question! I will say there are a few “firsts” that hold a special place in my heart. Bruce by Peter Ames Carlin and The Girls of Atomic City by Denise Kiernan were the first books I worked on that became New York Times bestsellers. It doesn’t hurt that both authors are great talents and great humans. I also have to give a shout out to my first acquisition – Behind the Gates of Gomorrah by Steve Seager. It’s an unbelievable story. Here’s a feature in the New York Times. In an increasingly competitive publishing landscape, what might your recommendation be for authors deciding on how to divide their budgets between editorial work and marketing? I actually got my start at S&S as an intern in the marketing department in 2009 and I still write reading group guides for their book club outreach campaigns. I think both editorial and marketing professionals can wholeheartedly agree that you can’t market a book that you’re not 100% proud of. Luckily, editorial budgets can be fixed. Find an editor you trust, listen to them, and do the hard work. When you’re done, be very honest with yourself about your ideal reader and target those markets. 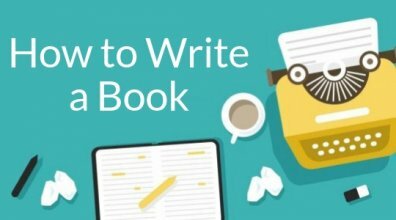 If your book has legs, your audience will do the work for you. When I work on a book, I don’t just improve the writing until it reaches a certain standard of professionalism. I impart any and all knowledge (marketing and other) that will help the author feel equipped to send their book into the world. You are a Reedsy editor: how important do you think it is for quality freelancers to regroup in curated communities? What is your personal goal in joining them? I think it’s vitally important for authors to have access to professionals they can trust without having to rely on the big five. 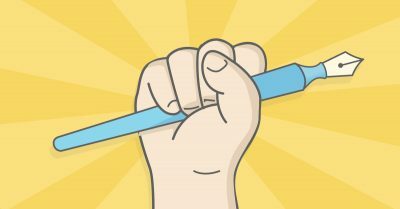 Organizations like Reedsy and NY Book Editors are doing the work to make those connections by recruiting tried and true editors that are excited to offer support to authors outside the relatively insulated New York network. In turn, I’m able to work with clients that I know are as invested as I am in creating great books. Listen to your editor, but trust yourself. I’ve seen the most elegant solutions come from authors who took my note and then made it their own. Learn more about the differences between developmental editing, copy editing and editorial assessments through these links. What’s been your personal experience with developmental editors? Do you think regrouping in curated communities is important for freelance publishing professionals? Is editing more important than marketing? Do leave us your insights in the comments below!